According to so-called food experts, cauliflower is the new kale. While we find it quite entertaining to envision kale and cauliflower competing in hand-to-hand combat for our love, we are mostly just excited that so-called food experts and influencers are excited about veggies rather than bacon-wrapped-something. According to our so-called research, cauliflower's role at the breakfast table has not been adequately studies or appreciated. 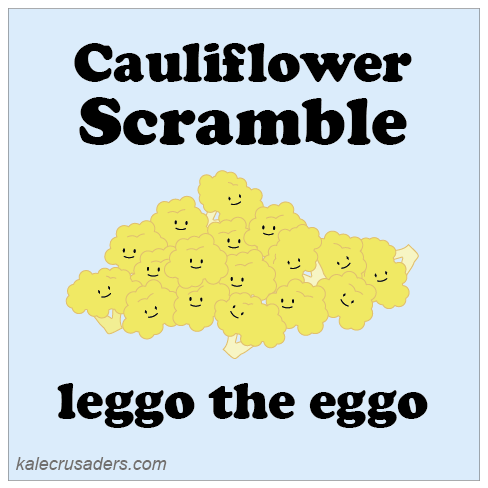 Whip up this Cauliflower Scramble by Katharine Freeman at The Left Hand Chef and be part of the next, next big thing!